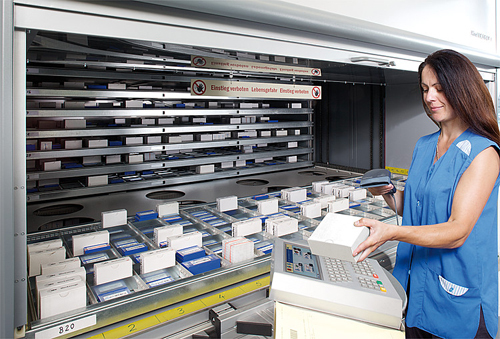 How can you reduce costs without compromising quality, throughput or efficiency? 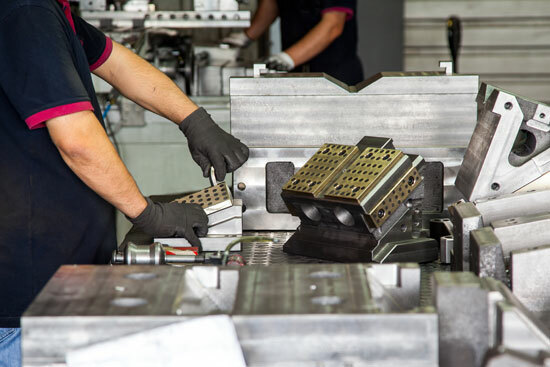 If you’re trying to produce a manufactured item utilizing a variety of materials, processes and machinery, the nuances of specific methods and specialized processes can be dizzying. This post focuses on general techniques that can apply to many situations. This method helps you focus on the core issues. Start by gathering your internal experts and lay out what you’d have to do to manufacture the idea, dead-on, absolutely perfect unit. Assume 0% waste in your recipe. Visualize how it would work if absolutely everything was executed perfectly. Be comprehensive. Include the costs of absolutely everything — materials, labor, supplies, energy costs, etc. Break it down per each item type you produce. Once this is fully defined, it gets interesting because then you define the actual situation, using the same line items and costs. The difference in total, and per line item defines over-use. Now you’re prepared to drill down to root causes. If you execute this process honestly and without political influence, valid root causes of over-use emerge. The good part? The gaps between actual and ideal aren’t always what people believed them to be prior to engaging the process. Finding the difference between perfect and actual lets you zero in on your most useful cost reduction opportunities. It helps you resist departmental politics, dogmatic thinking and arbitrary decrees. Front line employees often understand the holes in your process better than plant managers or engineers do. Their understanding may be limited to their particular area, but your job is to unify all these viewpoints into a cohesive plan. Assembly employees often have a better grasp on ways to streamline their jobs and reduce waste in their area. At Cisco-Eagle, we engage in open book management. The costs of just about everything (except individual compensation) are shared in detail with all our employee-owners. This helps us all understand where true costs exist and spurs innovation on ways to reduce those costs, as well as accountability across work teams, departments and individuals. Our employee-owners use it as a tool to help us understand the business better outside their specific department or work team. Everyone has a better understanding of how the business is doing. That enlightened spending means that people in a manufacturing facility will understand costs, will understand the impact of expenditures on net income, and will spend wisely — cutting costs while they increase performance. 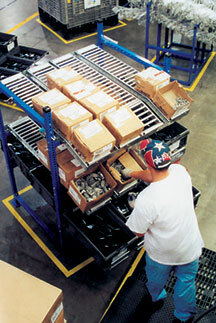 Our manufacturing clients are increasingly moving toward the lean manufacturing concept. One of our great partners, Hytrol Conveyors, has transformed its operations over the last few years by going lean. Really it’s simple: lean helps you prioritize and simplify processes. Here’s a roundup of lean articles and video for further information. Knowing what’s truly in demand and how much production is necessary is critical. While this post can’t cover the full gamut of demand forecasting tools, it’s best to work with your sales and marketing groups very closely to understand what type of production demands are in the pipeline. This can help you reduce or increase inventory, purchase new capital equipment, and schedule labor more intelligently. Manufacturing companies that simply follow historic trends are less likely to find the areas where value isn’t truly added. It’s not always apparent where the most value is being added. Identify high-value activities with a value streaming process and enhance those. Reduce or eliminate lower value activities if possible. Is the area that is always running at full capacity the most critical? It would be natural to assume so, but that activity may be the result of poor processes, problems upstream, or other factors. But in general, a process that runs at near-full capacity is one that needs to be mapped and understood, because it dictates what happens before and after it. We’ve worked on large scale operations that needed to streamline something simple (shipping area or receiving area) to reduce bottlenecks that seemed unsolvable. Keeping score on your functional areas helps you pursue waste reduction more intelligently, eliminate dead products, merge areas where value can be gained and more. Reducing labor costs is always a challenge, in particular in heavy duty applications where challenging and complex processes exist. You can engage in automation, value mapping, and look at incentive programs to help with the process. Typically the largest hard costs are labor and materials, so both categories deserve attention. Everything else you can do tends to feed back into those two categories. If the cost of production materials is a large percentage of cost-of-goods, a small savings percentage can increase profitability. Shop your suppliers, but do it with your eyes open. Americans define value mostly by lower costs, and that’s often (but not always) a mistake. That isn’t to say that higher prices always equal better quality, but the low bidder tends to be low for a reason. It’s always good to probe your suppliers for better deals. Just don’t damage a productive vendor relationship that creates real value for you to save 7% on material costs. Speed, service and quality can all trump price over time. Negotiate for more than dollars when you review these sources of supply. Even if you can’t reduce material costs, can you get better delivery, dedicated inventories, or other concessions. Apply value analysis to raw materials. Something as simple as reducing thickness or weight can help reduce raw material consumption. Does a higher material grade actually contribute to the value of the produced item? You can’t guess when you look at these issues. You must have thorough information and testing to be sure you aren’t reducing quality at the cost of a few cents savings for a unit of production. What’s returned most often? Returns are a particularly damaging issue for manufacturers. If you have to produce it, ship it, then ship it back, then do something with it (scrap it, repair it) the costs multiply. Tracking returns and their root causes tends to find places where hidden costs hide. Relentlessly maintain production and materials handling equipment. Maintenance lowers operating costs and increases the value of equipment. Conveyors that are not maintained properly, for instance, will eventually break down–and probably at the worst possible time. The downtime alone is often more expensive than the cost of scheduled maintenance for a CNC machine, robot, welding unit, etc. Go as green as you can. It’s not just a buzzword. Reducing energy usage can result in huge savings over time. Things like energy efficient lights and machinery are often subsidized by tax incentives that can reduce their capital expenditure to near-zero. More on industrial sustainability.